Their favorites are clover flowers and dandelion leaves; I know this since our bunny Delilah loves them too. I caught this one eating those big healthy dandelion leaves at the root of the tree. They're so sweet! A lovely mosaic! 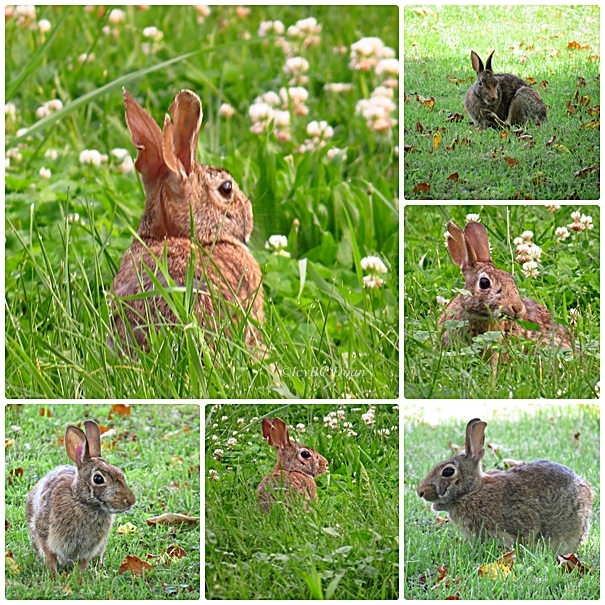 I love all the cute bunnies.. Lovely photos. Have a happy day! As long as they are not munching through your garden they are vry cute to watch.